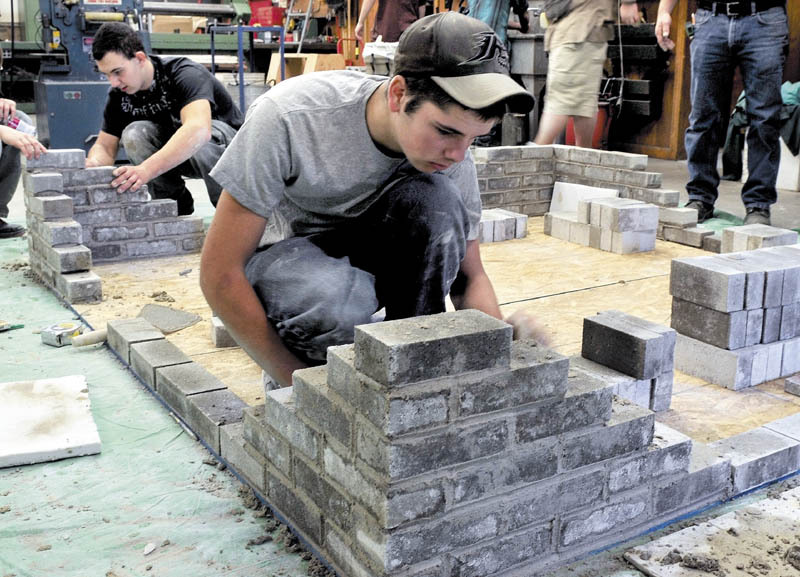 NORTH ANSON — Carrabec High School students are building skills for the future — one brick at a time. Ten students in Jim Easler’s industrial technology class are learning the art and craft of masonry recently from Steve Mitchell, instructor and founder of the Maine School of Masonry in Avon. What Carrabec students learned doing the precision work building a brick wall indoors as practice, will be used in the spring when they will construct a wall for the school’s portico, which also was built by students. Students were taught how to build the brick leads,. or corners, of a wall, essential to stable construction, Mitchell said. They later learned how to fill in the corners. The practice wall went up with cement bricks, reusable lime and sand mortar, but without the Portland cement used in real construction. Kenny White, a junior from New Portland who also worked building the portico, was also in the class. Mitchell said he brought three of his masonry school students to help teach at Carrabec. 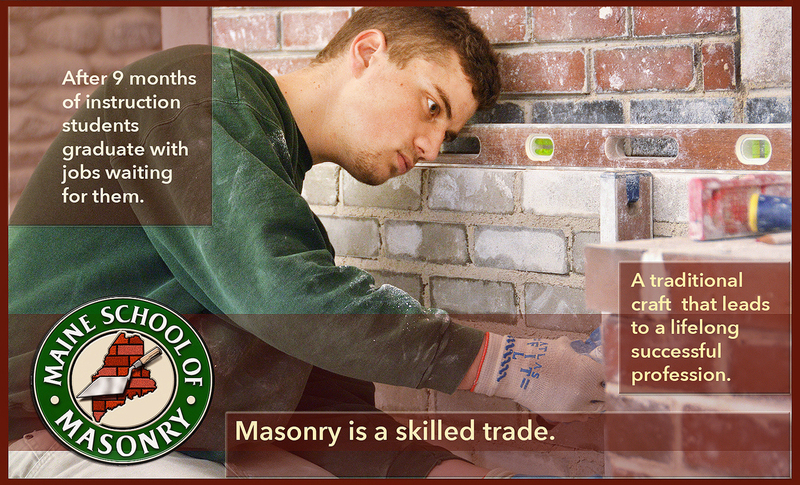 He said it is important to teach young people the trade because those skills will be needed as the state’s older stone and brick buildings and monuments deteriorate and will require repair and restoration as older masons retire. School Principal Regina Campbell said she and her husband discovered the masonry school during a summer drive through western Maine. The $400 fee to Mitchell was paid for through the school’s school improvement grant, she said. The program began during the summer when th students built an 11-foot, 6-inch tall, 16-foot long covered entrance to the school. The portico was built by five high school students who took Easler’s class as a three-week summer school elective. Easler said his industrial technology classes serve about 85 students at the high school and middle school, who work in wood, metal and now, brick and mortar. There also is an integrated math and shop class to broaden career horizons, he said. The School Administrative District 74 serves the towns of Anson, Embden, Solon and New Portland.